Blog Post List | Camrose Chrysler Ltd.
Chrysler, Dodge, Jeep, and Ram have joined forces to provide prospective vehicle purchasers with a Certified Pre-Owned Vehicle service. This service streamlines the entire vehicle search and purchase process, and it offers a wide variety of benefits along the way. Some of these major benefits include its comprehensive warranty coverage, a wide variety of available vehicles, and detailed vehicle inspections. There's more to the story because this service also offers many peripheral options such as 24-hour roadside coverage. You never know which features in a vehicle will be the ones that catch your attention. It could be how the engine performs or the aspects of the cabin that make driving a more enjoyable experience. 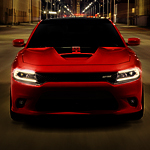 The 2019 Dodge Charger offers a nice selection of features which make it an amazing vehicle to get around in. 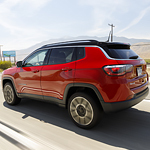 The exterior features of the Jeep Compass are nothing short of impressive. This is an SUV that demands attention and that delivers confidence with every turn that you make while you're in Camrose. Tires on the Jeep give you the option of driving on the road or along the trails. If you want a vehicle that is a great choice for getting the work you need to do done, you need to check out the versatile Ram ProMaster available at Camrose Chrysler Ltd. 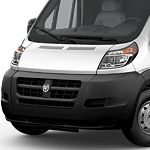 The Ram ProMaster is a cargo van that is designed for those who own their own businesses and need a vehicle for deliveries or to haul equipment. Service Your Vehicle at Camrose Chrysler Ltd.
At Camrose Chrysler Ltd. we are just as committed to helping you get into the car of your dreams as we are with ensuring you can stay in that car for as long as possible. Driving in Alberta can put wear and tear on your vehicle and make it harder (and in some cases impossible) to drive. If you put a premium on your safety and the longevity of your vehicle, you should be getting it regularly serviced at Camrose Chrysler Ltd.
Wetaskiwin-area drivers looking for their next SUV should consider the new 2019 Dodge Durango available at Camrose Chrysler Ltd.